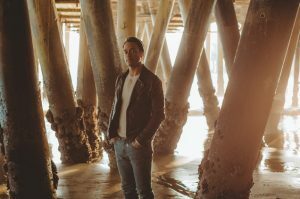 Critics are calling the new Amos Lee collection his most personal yet. If the tone of its lead-off single is indicative of the remaining nine tracks we would say that’s spot-on. Written about the Parkland High School shooting this past February – or, more precisely, its aftermath and the response of the students who study there – “No More Darkness, No More Light” elicits comparisons to Paul Simon, musically, and Pearl Jam, lyrically. “Is there mercy we all must face before the dead can rest?” the Philly-based singer/songwriter asks. The track, from Lee’s seventh studio album, My New Moon, will open this week’s edition of New Tracks on the Trail. “As Amos wrestles with difficult questions about loss and works through hardships, the record unfolds as a testament to embracing a higher purpose than one’s self and the pursuit of peace in adversity,” reads the artist’s press release. My New Moon features contributions from multi-instrumentalist Blake Mills, drummer Chris Dave and pedal steel guitarist Greg Leisz. Listen to the new single and check out Billboard’s interview with the artist HERE. • It’s been just shy of a decade since Austin, Texas-based musician Roger Len Smith released anything new. That all changed – finally – last month with the release of his sixth album, Anything Goes. Featuring the single “Raining On A Sunny Day” with drummer Rami Jaffee of the Foo Fighters, the new 10-track effort was self-produced by Smith with the help of A.J. Downing. 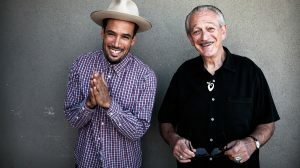 • We premiered its first single, “Found the One”, back in April; now another track from the latest Ben Harper/Charlie Musselwhite collaboration. The follow-up to their Grammy Award-winning debut, No Mercy In This Land dropped in March. It marks Harper’s 14th studio release and Musselwhite’s 30th. For a detailed analysis, check out this track-by-track review from Relix. • Perhaps the most prolific female artist of the past year or so, we’re excited to feature yet another great track from Australian rocker Courtney Barnett. We showcased “Nameless, Faceless,” the lead-off single from her newest album, back in February; now another one from Tell Me How You Really Feel, which hit the shelves May 18. The 10-track effort marks Barnett’s second studio release and comes just a few months after her smash-hit collaboration with Kurt Vile, Lotta Sea Lice. Check out Barnett’s live performance on NRP last week HERE. • He pretty much guaranteed another new release when he titled his last one The Modern Lives, Vol. 1 back in 2017. 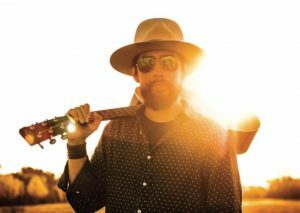 Finally, the second volume of Jackie Greene‘s musical accounting of life in New York City is here – or at least it’s on it’s way. We don’t have a release date yet, but the former Black Crowes, Phil Lesh & Friends and Trigger Hippy guitarist has dropped the first single and is hitting the summer tour circuit for what will mark his 10th solo album. When we know more, we’ll be glad to pass it on. In the meantime, all the background you need on Greene’s “Basement Tapes” can be found HERE.